so precious, The Gift . 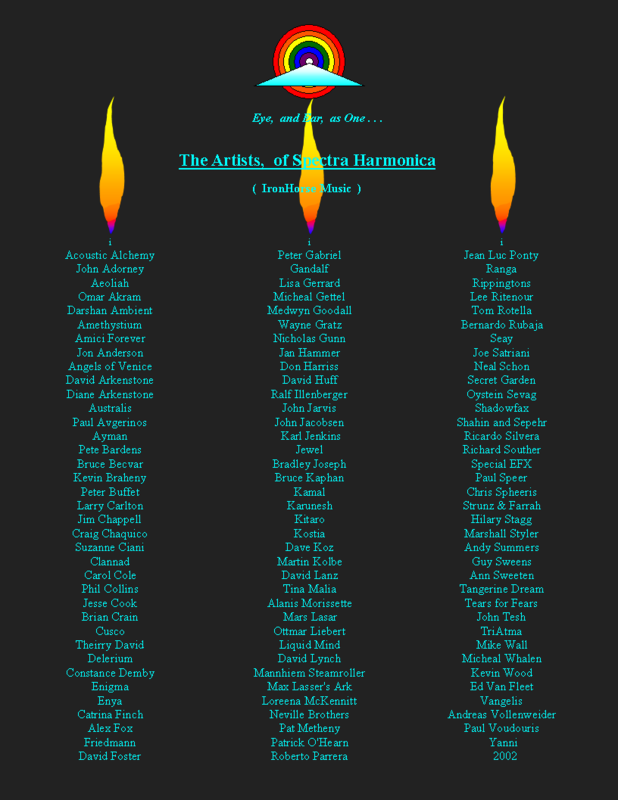 . . each artist, a jewel wrapped in the richness of his life . . . they are those who have cracked the sky above him, their music, the rain of joy . . . they are those who ignite the fires of his passion, with the light of ten thousand candles . . . they are those he must now thank, from the core of his being, with all his heart . . . for the message, the breath of angels, is love . . .
to Name, just a Few . . .